The Young Māori Party, an influential political force from the 1890s, was not really an organised political party. Instead it was an alliance of Māori MPs, many of them former students of Te Aute College in Hawke's Bay. 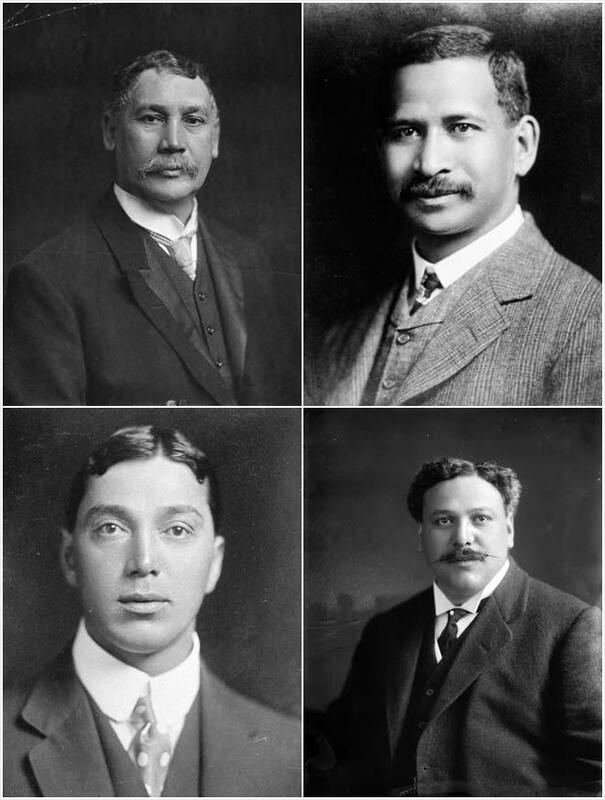 Leading figures in the Young Māori Party were (clockwise from top left) James Carroll (Ngāti Kahungunu), Āpirana Ngata (Ngāti Porou), Māui Pōmare (Ngāti Mutunga, Ngāti Toa) and Peter Buck, also known as Te Rangi Hīroa (Ngāti Mutunga). All four were eventually knighted.